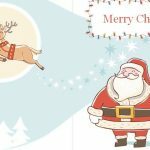 The Holiday Winter Greeting Cards template is a simple and elegant document that helps you craft the perfect greeting cards this holiday season. If you are tired of the same old holiday cards with Santa or a snowman on them, this card is the perfect way to break free from the cliché and truly be unique this year. 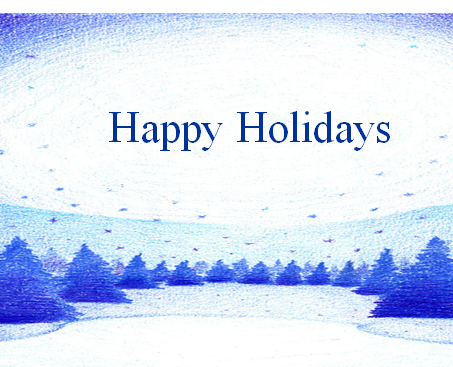 The card can also be used for any holiday, as the image simply depicts a calming scene of nature. 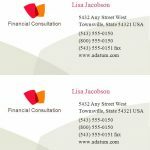 This allows you to make your personalized greeting pop in the eyes of your reader in contrast with the peaceful image displayed. Make this holiday season one to remember as you and impress your loved ones with this wonderfully designed card. To begin, download the template by clicking the link located at the bottom of this page. The next step is to print the template. To do this, you simply press the “File” tab in the top left corner of your screen and select the “print” option from the drop-down menu. Now, fold the sheet hamburger style and cut out the 3 edges of the larger image, keeping the smaller image connected with the fourth edge. Make sure that all edges are evenly cut before you begin writing your message. With your new greeting card in-hand, simply open the card and write your personalized letter to your recipient. 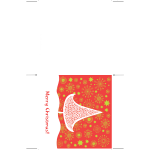 You can even write a separate message on the backside of the template with the smaller image. If you want to add any photos from your computer, just press the “Insert” tab at the top of your screen and select “Picture”. This will bring up a menu for you to choose an image from your computer. Make the holidays fun again with these postcards! Using the Winter Greeting Cards is best way to show someone you care this holiday season. This template can be used for any holiday because it simply embodies the beauty and serenity of nature during the winter season. The quiet yet strong image of the card strikes a powerful emotional response in the recipient that truly speaks to the beauty of nature and this time of the year! Make your own winter-themed postcards!